A current trend in software engineering is the changing of software development from being code-centric to become model-centric. This entails many challenges. Traceability between models at different abstraction levels must be managed. Mechanisms for model transformation and code generation must be in place, and these must be able to produce the desired results in terms of derived models and code. A main consideration in this respect is obviously to produce something that provides the expected functionality; another key aspect is to deliver models and code that specify systems that will adhere to the required quality of the provided services. Thus, specification and consideration of quality of service (QoS) when deriving system models are significant. In this paper we describe an approach where QoS aspects are considered when performing model transformations. The approach is pattern-based and uses UML 2.0  as basis for modeling. For specification of QoS, the current submission of the UML profile for modeling QoS  is used as the baseline. The transformation specification is aligned with currently available results from the ongoing standardization process of MOF QVT . 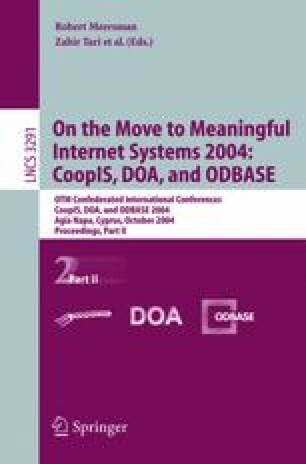 The framework provides mechanisms and techniques for considering QoS throughout a model- driven development process. A key proposal of the approach is to gradually resolve QoS requirements when performing model transformations. The paper also describes a QoS-aware execution platform for resolving QoS requirements at run-time.